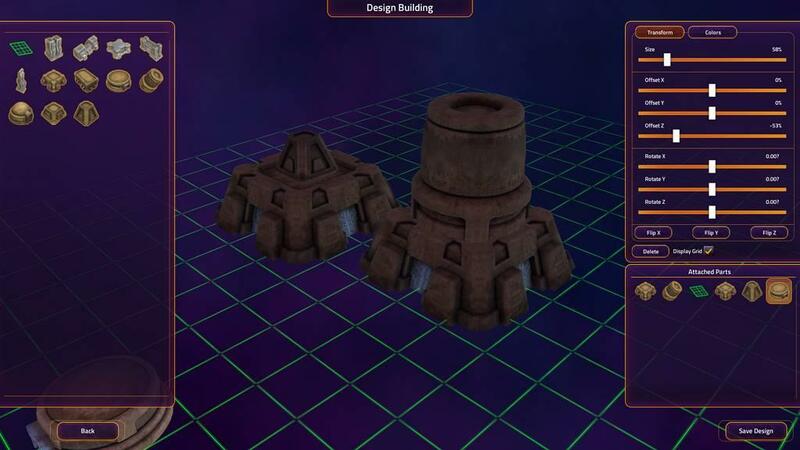 The original Star Control is now three decades old. It was a ship to ship combat game on the Amiga whose first iteration more or less thrust players into the fray with little regard for plot or backstory. 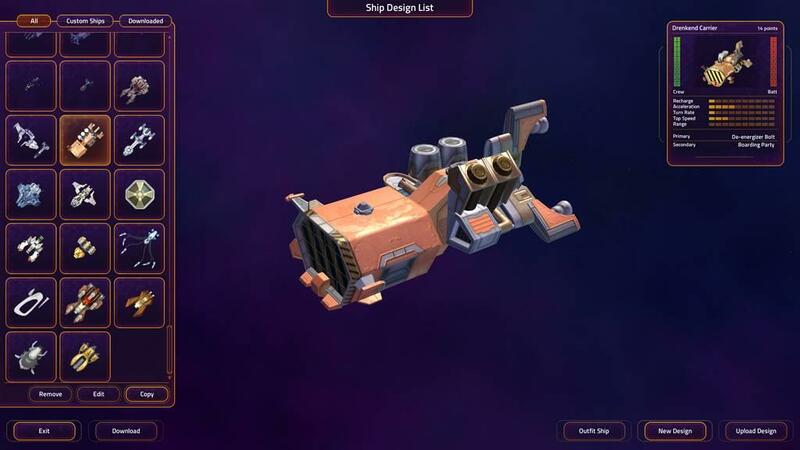 Star Control: Origins maintains that classic ship to ship element but creates a much larger experience around it, and is the better for it. 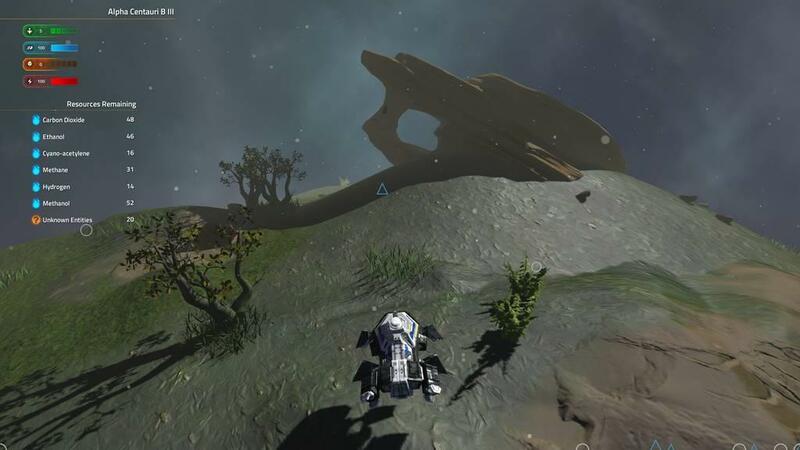 The game itself is a combination of converging elements: investigating star systems for new locations and required items from fetch quests, encountering alien races and working through dialog trees, exploring planets for clues and collecting resources, equipping and outfitting your interstellar vessel with upgrades, and that classic ship to ship combat. So let's break it down bit by bit. A very large part of your time in this game is simply spent scooting around looking for stuff. Exploring new systems, tracking down the objects in fetch quests, moving system to system, it's a vast universe with many corners to uncover. The exploration takes place on a macro level in your interstellar spaceship moving planet to planet and system to system. Controls are a bit, well, momentum-y. It takes a while to get a head of steam going and even longer to make a change of direction when you do. It's all a but floaty but holds more or less true to how you would likely be navigating in this fashion and thankfully when you approach a point of interest at a reasonable speed it's easy enough to mash a button and engage instead of having to painstakingly puff around edging close enough. Button mashed, we enter the micro-level exploration of the individual planetoids scattered throughout these galaxies. We get a quick scan of the location, pointing out its resource composition and any relevant points of interest and can launch a lander to engage at surface level. The lander kicks off with a mini game of actually, well, landing. Basically we use boosters to try and position ourselves inside the optimal approach vector and ultimately touch down softly in the preferred zone or smash down abruptly outside the area. Once on the ground we get to scoot about the surface, picking up any resources we drive over and making our way to the points of interest to further a storyline or kick off a new one. The exploration mostly is something to be done. It makes up the timing of the game and creates the atmosphere of a vast universe. It is interesting to traipse about the differing locales but it's not terribly exciting. And if we're being critical, the bits with the lander and actually combing the planets can get a bit tedious over time. Not just because the lander itself can be pretty terrible at making any sort of attempt on certain slopes, not just because any opposing force, whether it be native fauna or bots are just dumb as bricks when it comes to attack strategy and can all be easily overcome with a bit of strafing, but mostly because so much of what I'm doing is pointless. There are a plethora of resources to collect but no crafting. So all I'm really doing is filling up the cargo to later sell for credits. There's no tangible point of searching for this resource over that one as it all just boils down to more money when I dump my stores. But that's where the real strength of the game picks up from the tediousness, for the whole thing is driven by as fun and playful narrative that is extremely well produced. Now this narrative does not tie back into the existing Star Control story or previous titles in any way due to ongoing litigation over who exactly controls those rights. But in all honestly, freed from the tethers of what came before it and open to craft it's own world building the folks over at Stardock put together a fantastic little voyage. At it's surface, humanity has thus far been protected from the big bad alien race by a slug-like slave race because, well, the slugs really dig our old television programs. We finally come under the watchful eye of the big bad just in time as interstellar transportation becomes a reality and you captain the one vessel off the assembly line ready for the feat. Time to save humanity by adding the arsenal from a coalition of oppressed subjects and enemies to overthrow the existing galactic order. Fairly boilerplate stuff there, but where it hits the right chords is in how playful the experience plays out. Characters and races are often a bit one dimensional but it's all for laughs, and the cut-scenes and art direction are all on point. Don't take anything too seriously and have fun with it. The game will have fun back, for example, on exit rather than an "Are you sure you want to exit?" message, the text actually reads "Are you sure you want to abandon humanity?" Nice touch, that. Unfortunately, even this narrative can start feeling a bit of the same old, same old. Because many of the random encounters follow the same dialog trees of previous encounters of the given alien race. A good joke told over and again loses its punch. Choices and actions seem to have little overall consequence on the track the story takes. It ends up feeling a bit linear. Entertaining, but linear, and that's a shame. I would have liked to see this game take on more of a diplomatic bend. Let the tale branch more on critical alignments with different factions, and rather than building up a hero to take on and alter the present galactic order, build a coalition for the task. But what we have instead is a fun and well told story that pushes us into the next combat encounter. 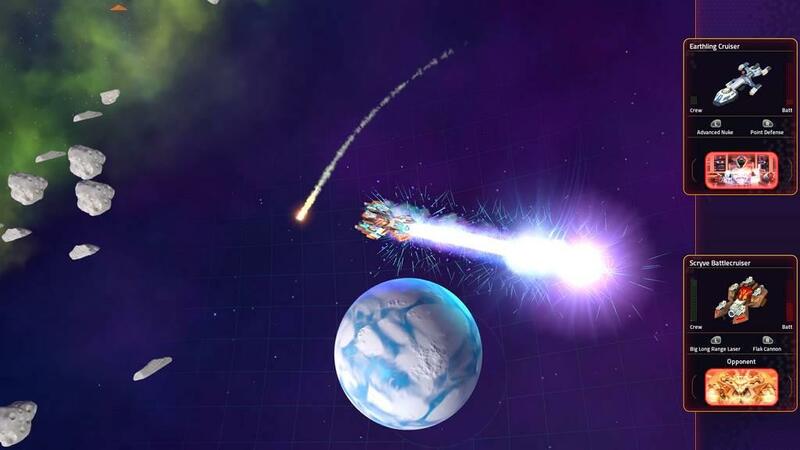 Because at it's crux, the game is still Star Control and the ship to ship combat is the centerpiece. And to its credit, this is most well done part. 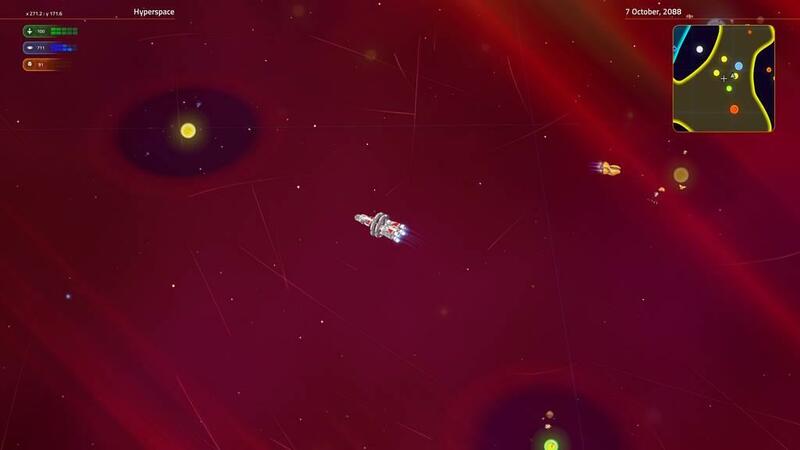 You build a hanger of starfighters to protect your fleet ship and send them into battle one at a time against your foe. Each fighter from each race is unique in it's design and strategy. Each unit has two attack actions and each battle incorporates the map it takes place on as much as the arsenal the combatants throw at each other. Using gravitational pull, worm holes, and power ups can each be difference makers. Perhaps the single best thing this game does is outside the main campaign. Fleet Battles let you tackle a local human opponent or the AI by first selecting a fleet to run with and then going down the list of each's inventory eliminating starfighters one at a time. Winner stays on, loser had to go to the next ship on the list until one player is just out of options and eliminated. Fleet Battles jumps the queue of what you may have encountered or unlocked form the campaign and opens the entire armada. 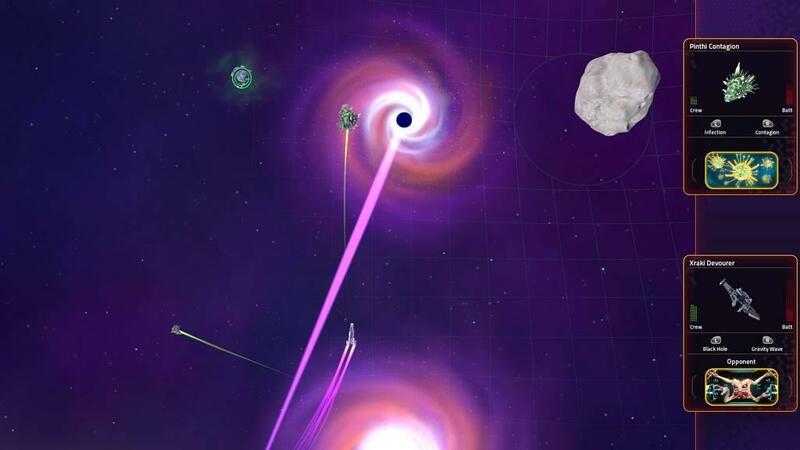 It's a great way to fast forward or take a break from the campaign and just get down with what Star Control: Origins does best. If the campaign becomes too much of a slog, you can always use Fleet Battles to stick to the greatest hits. In my preview I mentioned a few things I would like to have seen. Unfortunately I am not blown away by better navigation options but discovering an autopilot from the dialog retained in the captains logs was a big help. But really I only wanted to draw back to my preview here because that thing I said about recreating the Serenity, it's already been done for me. Shiny.